Japan, 1936. An old eccentric artist living with seven women has been found dead--in a room locked from the inside. His diaries reveal alchemy, astrology and a complicated plan to kill all seven women. Shortly afterwards, the plan is carried out: the women are found dismembered and buried across rural Japan. By 1979, these Tokyo Zodiac Murders have been obsessing a nation for decades, but not one of them has been solved. A mystery-obsessed illustrator and a talented astrologer set off around the country--and you follow, carrying the enigma of the Zodiac murderer through madness, missed leads and magic tricks. 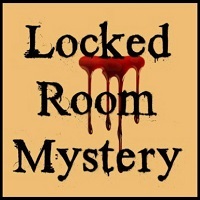 You have all the clues, but can you solve the mystery before they do? I'm not entirely sure I know what I want to say about this book. The truth is that while it was easy to become completely immersed into our two main characters' discussion and dissection of the Zodiac Murders that occurred forty years prior to the book's 1979 setting, I had also found I had a hard time keeping up with some of the deductions tossed out by our main astrological detective, Kiyoshi Mitarai. I honestly have to admit, I was confounded by all the clues--maybe I'm just not made out to be a detective. I was as confused as the narrator, Kazumi Ishioka, and found myself truly wondering how Kiyoshi had come to certain conclusions. I had a slight inkling of what kind of person might be the culprit behind the Zodiac Murders, but I was flummoxed by how the act could have been committed, as well as who exactly could have been the murderer. Of course, when we get into the "Kiyoshi Reveals All" part of the conclusion, I can see how cleverly the entire thing was constructed. I didn't see it coming, but I see how it all worked. 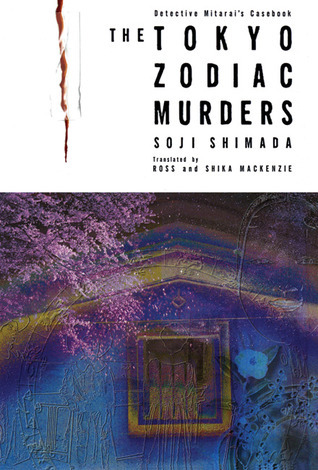 I liked the build-up and introduction of the Zodiac Murders--the first half of the book consisted of Kazumi giving Kiyoshi the rundown of the case, what happened forty years ago, and some brief background on the victims and suspects. By all rights, this should have felt like a massive infodump, but with Kiyoshi's random interjections and color commentary, it was actually quite amusing to follow. But I appreciated some of the random tangents, even if I thought that Kiyoshi might have gotten a bit overly dramatic at some points. The talk about longitude and latitude kind of lost me. But there was an obvious emphasis on the depths at which the girls were buried that got me thinking, even if I couldn't figure out the significance. The ending came off as kind of sad, in a heartbreaking way, when the culprit is revealed, and the reasons why, as well as a few other things that were mentioned. Explaining why I felt a pang of sadness, however, would reveal the identity of the culprit, and I hope I didn't already say too much. Overall, The Tokyo Zodiac Murders was a very excellently outlined story. And while I DID find the cheek at Sherlock Holmes a bit amusing (I've only read a few Sherlock stories), I also kind of found Kiyoshi's snub at famous fictional detectives a bit overmuch--like, I couldn't figure out if he was sincerely ignorant of the mentioned names while making fun, or if he was just being arrogant and sarcastic. The truth is, it was a bit hard to tell sometimes if Kiyoshi was being sarcastic or not, but he sure as heck DID come off arrogant, even when he had a few sheepish moments. I DID like the interaction between him and Kazumi, though; it somehow came off quite endearing. Murder Most Foul: For obvious reasons. Amateur Sleuth: Kiyoshi is an astrology professor (?) and Kazumi is an artist. Serial/spree killer (? ): To be honest, the murders in this book seem more in line with a mass murder than serial killings, but the term serial killing had been used, so I'm not entirely sure about this one. Diverse Voices: And, of course, because this book was written by a Japanese author and set in Japan, translated into English for those of us who haven't yet learned how to fluently read kanji, hiragana, and katakana.